Adding value and appeal through thoughtful design. As a Design-Build company we understand that what’s inside matters. 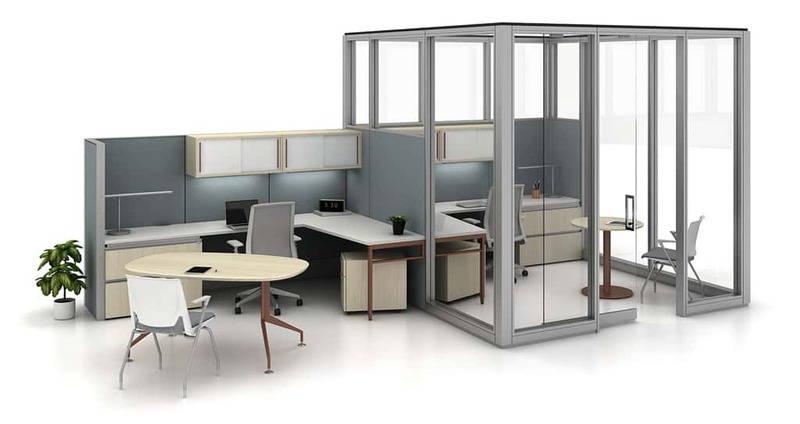 Just as wall systems and steel trusses support and shape the exterior, workspace solutions and integrated palettes define the interior and create an aesthetic, efficient working environment. At The Korte Company, we’re a fully integrated Design-Builder. In fact, we’re the only Interior Design company with Design-Build roots that date back to 1963. It’s the only delivery method that provides owners with a single point of contact for both the design and installation and/or construction phases of a project. Our designers manage assessments, estimates, design, development, budgets and scheduling, as well as the construction and installation components of the project. With one point of contact, processes are streamlined and budgets and schedules are kept in check. 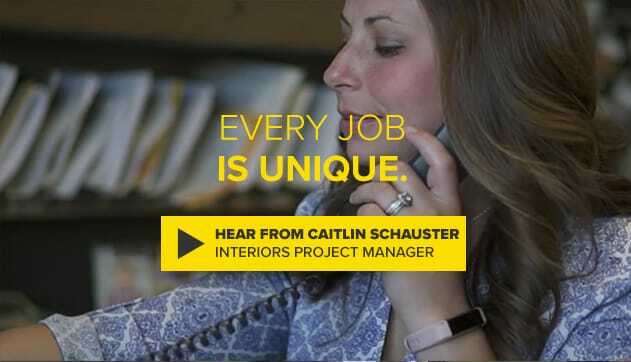 View our interior design brochure for more on how that translates to real benefits for owners. Whether it’s a renovation project or a new facility, we’ve got you covered. Our design professionals are exceptionally passionate about what they do. They’re also exceptionally good at it. From planning to installation, from groundbreaking to ribbon cutting, our designers and architects work closely with owners to make certain every detail is covered. Some call it turnkey. We call it Building Smart. From maternity wings and higher education facilities to SOF (Special Operations Forces) training rooms and refurbished churches, we’ve had the opportunity to create interior spaces for clients from nearly every business sector. We’ve completed projects in 43 states, each one with its own set of challenges and solutions. One showcase project we delivered was the renovation of an historic church in St. Louis that’s now home to a graphic design studio. 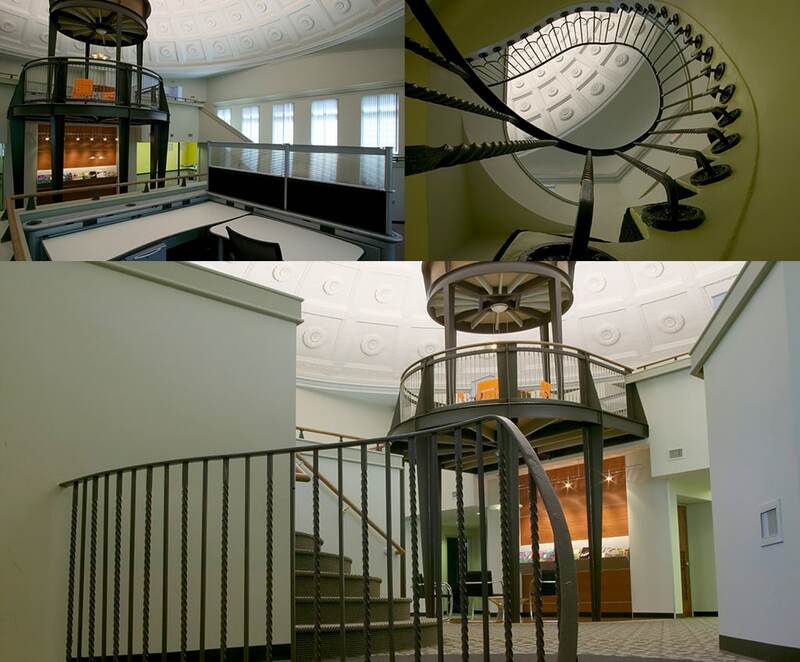 Rose Design wanted to turn the 90-year-old church into a sleek, modern work space while still retaining the original architecture and early-century charm that earned the building a spot on the National Register of Historic Places. Overhauling the structure’s supports to accommodate its new function. Designing an HVAC system that didn’t clog the building’s domed ceiling with duct work. Developing safety protocols from scratch to meet the unique challenges posed by this project. The result is a one-of-a-kind space that inspires those who use it. Whether it’s a new headquarters for a Fortune 500 company or a renovation project for a local business, we approach each job with the same passion and caliber of quality that our clients have come to expect for decades. Healthcare is evolving, and we’re here to help make sure you’re able to evolve alongside it. 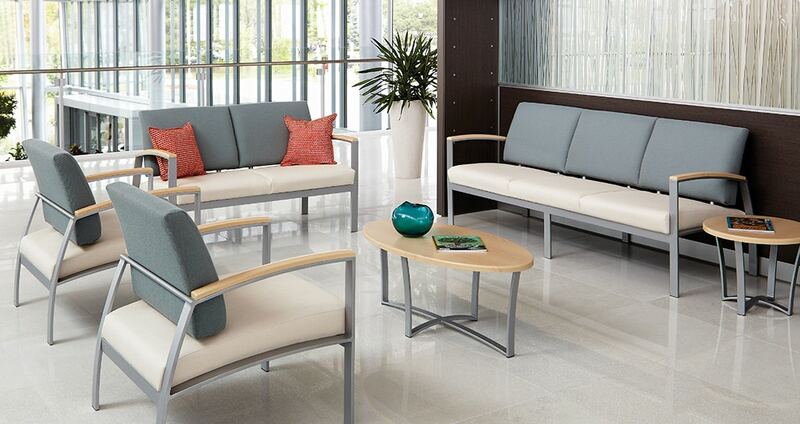 We specialize in healthcare environments and work to create spaces that blend high-tech with high touch. From patients and family members to caregivers and staff, we’ll develop interior systems that perfectly blend form and function to make the most out of every square inch of your facility. At The Korte Company, patient well-being is just as important as workflow and efficiency when creating an integrated healthcare environment. 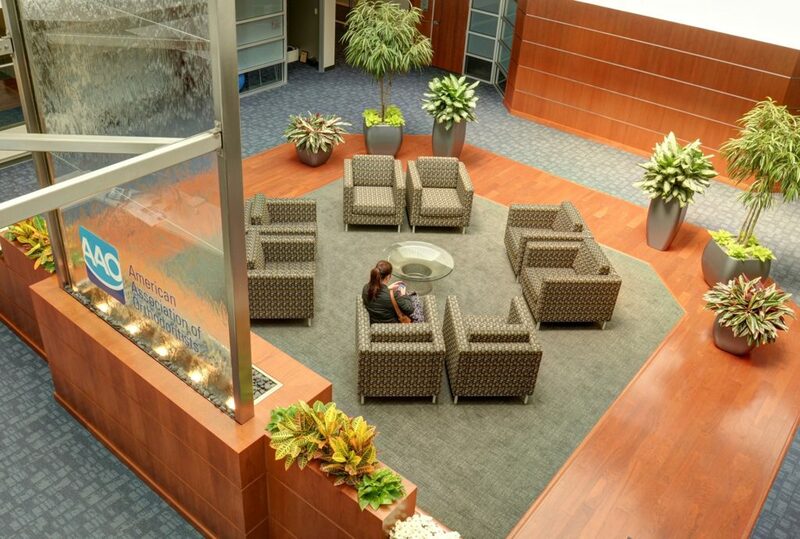 From the waiting area and exam rooms to administrative offices, we create spaces designed to adapt as your needs, patient expectations and technology evolve. As we all know, healthcare interiors must also provide features critical to the operational demands of the industry. That’s why we offer products that are germ-resistant, cleanable and durable. The result is a healthier environment for those who need care, and a more comfortable and productive space for those who deliver it. Over 30 years ago, we delivered our first Haworth project. We’ve cultivated that relationship ever since, partnering with the most innovative furniture manufacturing company in the industry as a Haworth Authorized Dealer. 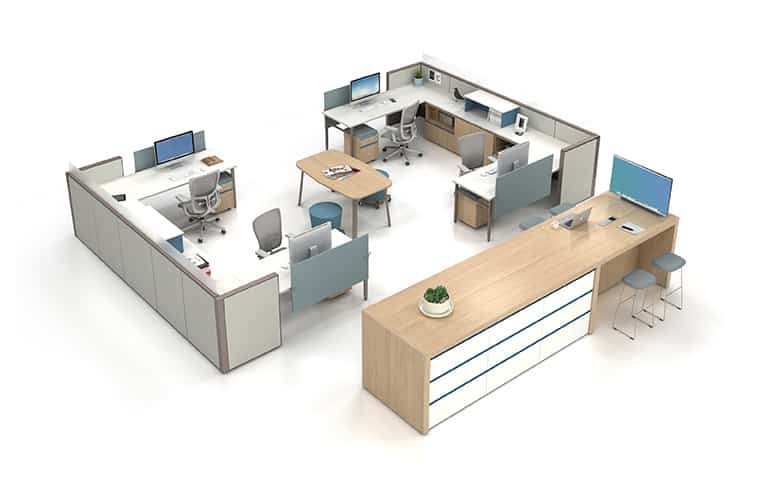 Haworth combines science and design principles to create customer-centric solutions. 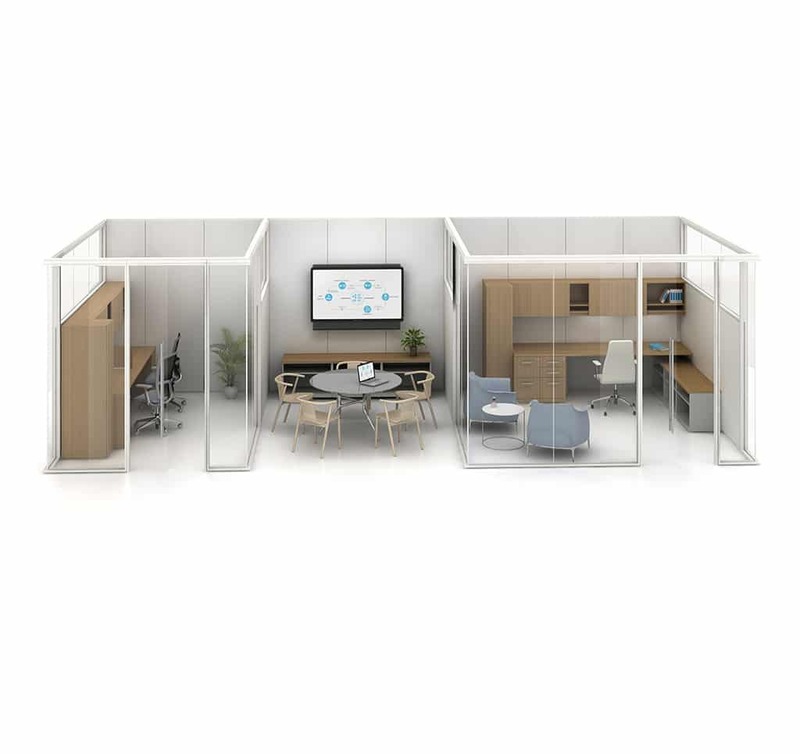 Their research and workspace knowledge align with product development and space utilization to help improve performance and maximize return on investment. Together, we offer clients efficient design solutions that inspire and motivate.